DESIGN PROCESS A thorough design process, as documented below, helps our team clearly understand the client's program, user needs, and the opportunities of the space. From concept through construction, we place a strong focus on collaboration, and ensuring that all stakeholders have a voice in the project's vision. During site analysis, our team performs a site visit to explore its opportunities and constraints. Research allows us to develop a relevant story for the project. We then work closely with the client and other stakeholders with sketches and precedent boards to conceptualize the project vision. Visualizations are key in communicating our team's ideas to the client and community. Plan view renderings and 3-D modeling allow clients to understand the look and feel of the design. These visualizations incorporate textures, colors, objects and shadows for a realistic depiction of the project. Art can help make a space memorable. WDG collaborates with local artists to bring character, creativity, and charm to the communities in which we work. Our team works closely with the project's artist to ensure that materials, colors, textures, and patterns work seamlessly with the designed landscape. 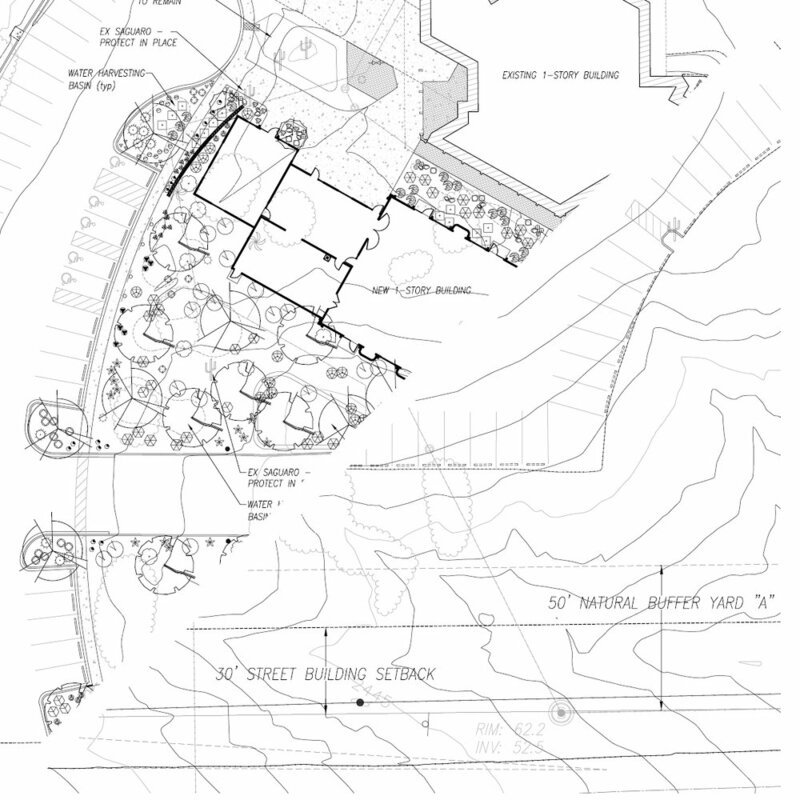 Planting, hardscape, and irrigation construction documents translate design ideas into technical drawings that are used by engineers, architects, and contractors. These drawings provide detailed information for contractors to bid the project and install the design per plan. HISTORY WDG's history began in 1982 when Wheat & Associates was founded in Tucson. In the early 1990's, the firm became Wheat Gallaher Associates and subsequently Wheat Scharf Associates. In May 2014, Wheat Scharf merged with LJ Design & Consulting, another local landscape architecture firm, to become Wheat Design Group. 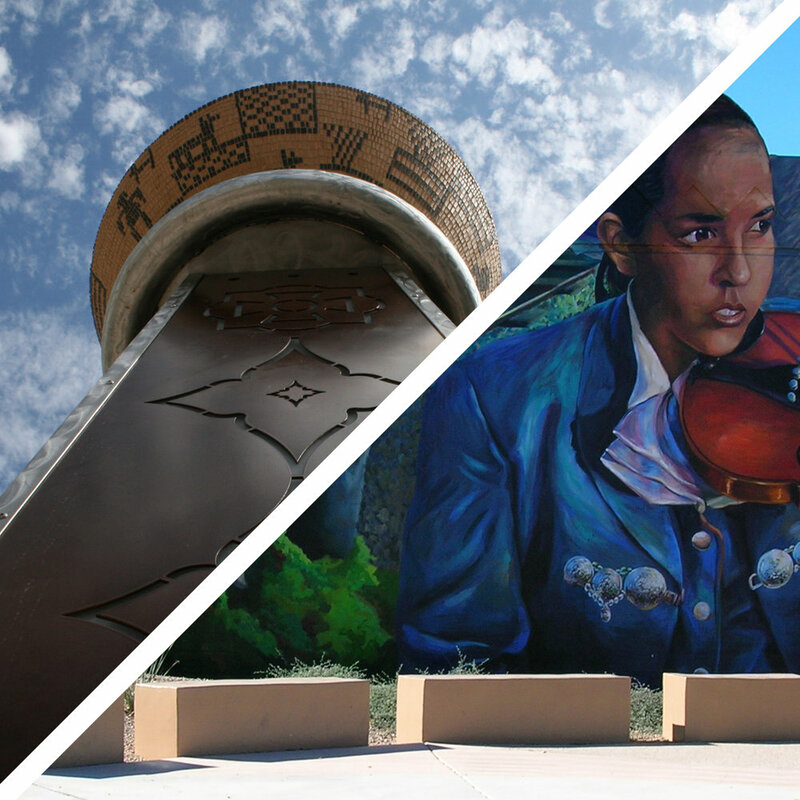 Collectively, we have participated in and contributed to the development of Tucson as well as the southwest region over the last 37 years. LIBA WHEAT The story of WDG started with the vision of Elizabeth 'Liba' Wheat, the founder of Wheat & Associates in 1982. Liba's career was rich, dedicated, and varied. Her legacy can be seen through the lasting impacts she had on the community, academic programs, regulatory policy, the urban form, arid land issues and the many professionals she mentored in her career. A leaf tile commemorates Liba Wheat at the University of Arizona's Women's Plaza of Honor.